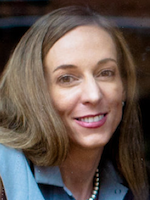 Lisa Loeffler (@LisaMLoeffler) is Research & Analysis Lead at Convince & Convert. She is also founder and principal of Genuine Media, a marketing agency that helps clients build their individual and brand reputation through social media. We all know waiting on hold for-EV-ver on the phone, or standing in a l–o–n–g line, are a few of life’s most unpleasant, time sucking experiences. Recently I needed to change a flight with United Airlines. In the interest of time, I went to their website and logged into my account to make the change. Unfortunately, I received an error message when I went to change my flight. I was then directed to the United Reservations toll free number to make changes to my itinerary. After answering four or five questions, I was placed on hold 22 minutes or so before reaching a live agent. In all, it took one hour…17 minutes…33 seconds for the CSR to work with another department to see if the flight I needed was available, get an updated ticket price, rebook the flight, and complete the transaction. While the United Airlines CSR was very pleasant and thankful for my patience, I couldn’t help but think how can people’s time spent waiting on hold be more pleasant and fruitful, both to the customer and to the brand? Over the last several years we’ve gamified checking in (Foursquare), eating and drinking (Foodspotting), investing in human beings (Empire Avenue), and many other categories. What if we took it to another level and gamified customers’ live call interactions with CSRs (customer service reps) to help palliate customers’ on hold experience, as well as allow companies to benefit and receive a cost savings? Social games have become the online version of popular reality TV shows – having an astounding impact on our leisure and down time. According to a report focusing on online casual and social games from market research firm Newzoo, 126 million Americans, or 87% of the 145 million U.S. gamers ages 10 to 65, play games on social networks or casual game websites. And in a Gartner Research Report, it’s estimated by 2015 that more than 50% of organizations that manage innovation processes will gamify those processes. So with Americans already willfully engaging in casual gaming, doesn’t it make sense for brands to gamify their customer service call center experiences to leverage an activity customers clearly (and already) enjoy? Brands could reward customers with coupons, miles or points for their ‘waiting on hold’ time investment. Something like what TopGuest is doing for hotel guests – rewarding customers when they check in to properties – or how Virgin America’s Elevate program rewards their customers with miles by checking in when they arrive at the airport. Borrowing from AMEX’s recent “Tweet Your Way To Savings” program, companies could gamify the ‘waiting on hold’ experience based on their customers social media engagement or social kudos they drive (or post) while they’re on hold. While customers are on hold brands could pipe in key messages through the phone that customers could post to their Twitter account (or other social media accounts) with a matching program hashtag (to get credit). After you’ve synced up your Twitter account (or other social media accounts) with the program – every time you Tweet (or post) the hashtag – points or miles are added to your account, or promotions and coupons could be emailed directly to a customer’s inbox. A program could be hyper-customized by allowing customers to pick the reward they want to tweet (or post) with the corresponding hashtag, giving customers exactly what they want. Want to save your organization precious “human CSR capital?” Drive customers to your website, email, forums and robust, highly searchable FAQ to answer questions in event they may not need immediate help solving or the use of a live person. Again offer points, discounts, or miles to reward customers for using self-service online channels instead of clogging up live support with simple questions that can easily be answered online. This is a pie in the sky idea and I’m doubtful any brand would develop such a model – but who knows, this may be something we see in the future. A gamer can dream! Perhaps a brand could launch a game customers play while they are waiting on hold. Maybe off the idea on the newly popular PS3 game Journey. The game plot: While you’re on hold you travel through a mysterious desert toward a mountain peak that juts out in the far landscape – it seems hopelessly unreachable (see where I’m going with this?). Along the way you are provided tastefully placed product reveals and promotions and must grapple barriers and tasks that delay you from making it to the top of the mountain. Oh my! Then… all of the sudden… the CSR comes on the other end of the phone and you reach the peak. Customers’ scores could be positioned against each other (based on time on call) and top scorers could be eligible for additional prizes, promotions, and savings. The main issue with this idea, however, is that it may drive MORE people to want to play the “I’m on hold trying to reach the mountain” game. Decreased Complaints – With one in five customers expecting a response within one hour on Twitter or Facebook, gamifying or rewarding a customer service experience will lessen the burden your community manager has to carry and potentially increase positive social media and online reviews. Increased Loyalty – Gamification of customer service will drive engagement and brand loyalty. Increased Product Knowledge – As customers play the game they learn more about your brand’s products. Leads – Introduce customers to new products or promotions based on their previous searches on your website or through programs they’ve enrolled into with your brand. Word of Mouth (WOM) – Customers who have a pleasant experience while engaging with your brand, even while waiting on hold, may have the propensity to share it with their friends. Fun – While it’s not easily measured, incorporating the fun factor – especially while customers are on hold – is going to improve their experience, as well as the experience of your CSRs, if the customer has experienced a long hold time. What ideas do you have that could make waiting on hold more fun and rewarding for the customer experience?